CHARLOTTE, N.C. (AP) — A snoozer of a NASCAR season got a huge jolt of energy right before the playoffs with back-to-back wins by Brad Keselowski. 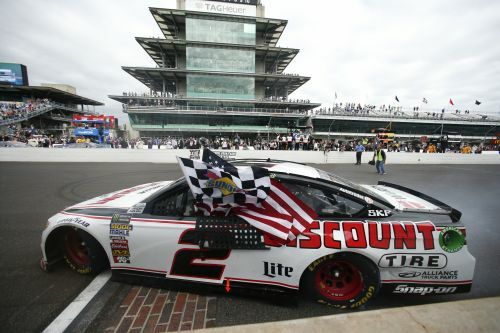 Keselowski wasn't a championship contender before the two crown jewel victories — at the Southern 500 and the Brickyard 400 — pushed him into the title conversation. His door-slamming race with Denny Hamlin in the closing laps of Monday's rain-delayed Brickyard awakened the NASCAR audience just in time for the postseason.